As Crossrail advances from Farringdon towards Moorgate and Liverpool St, it crosses one of the oldest of London’s play-spaces. 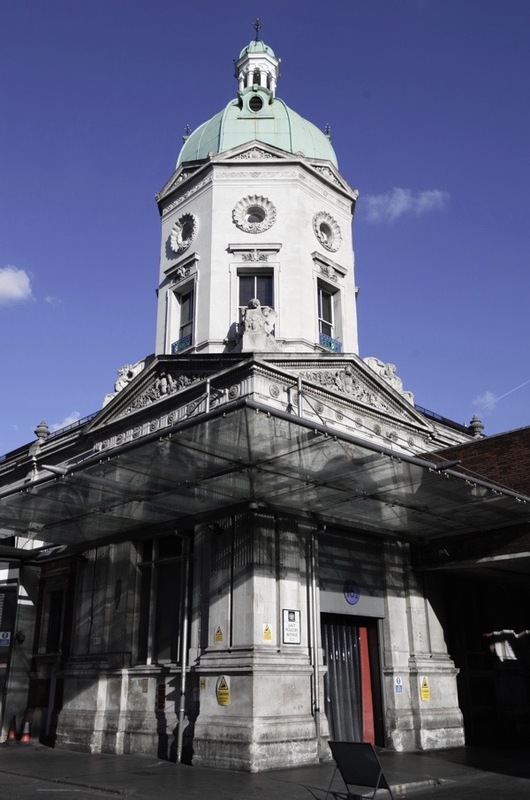 Smithfield means ‘smooth field’ and, though the Romans called it by a different name, they recognised that this green expanse was too useful to be covered in houses. 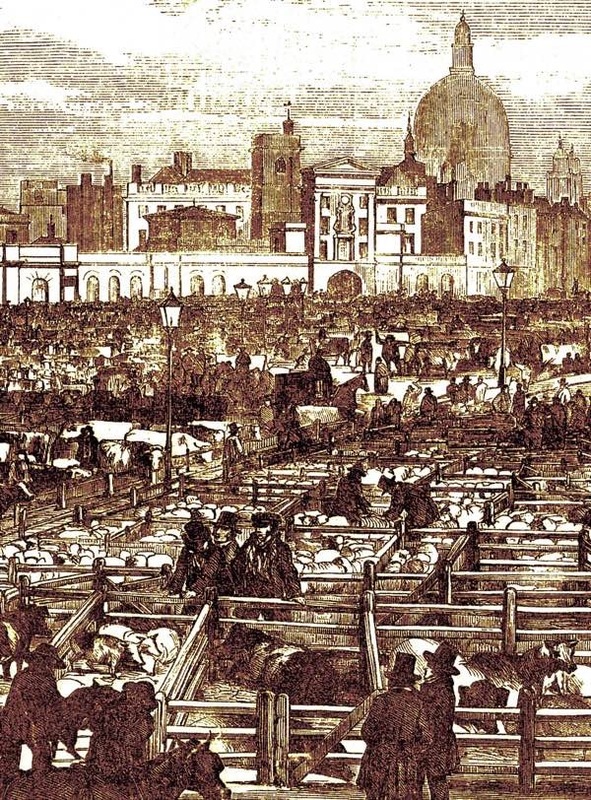 By the twelfth century, there was a fair held on Smithfield every Friday for the buying and selling of horses, and a growing market for oxen, cows and – by-and-by – sheep as well. 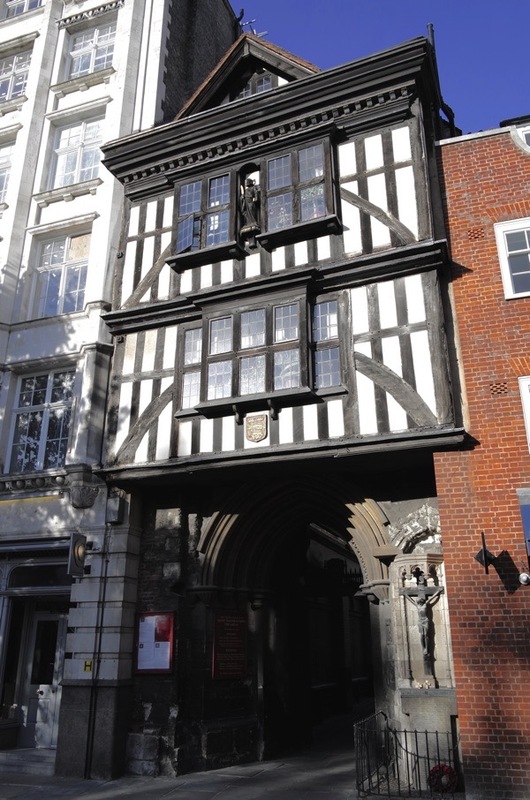 An annual fair was held every August around St Bartholmew’s Day, in front of Bartholomew’s Hospital which had been founded in 1123. This open ground was also much in demand for tournaments – sometimes involving royalty – as well as jousts and other sports, demonstrations, riots, and public entertainments, including executions. Others besides Dickens were aware, by the early decades of the century, that this chaotic scene was out of place in up-to-date, heart-of-the-Empire, Victorian London. People wrote pamphlets, raised the matter in Parliament and wheels began to turn. By the eighteen-fifties, a modern slaughterhouse was established on one of the last remaining bits of open land between Kentish Town and Islington, and Smithfield was reconstructed as a wholesale meat depot of covered pavilions in iron and glass. This is the Market that is still in use today. 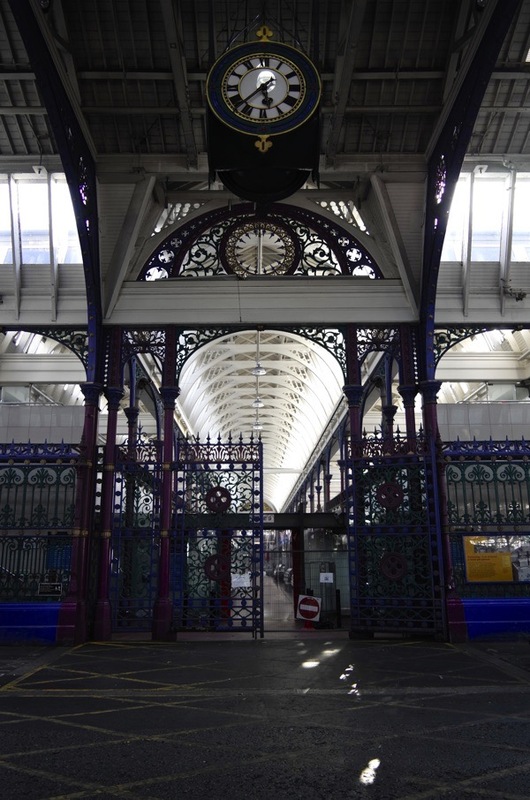 Recently, an attempt by the Corporation of London to redevelop the Smithfield General Market for high-rise offices was fought off, successfully making the point that, with the new Farringdon Crossrail station just around the corner, a far livelier use is appropriate. 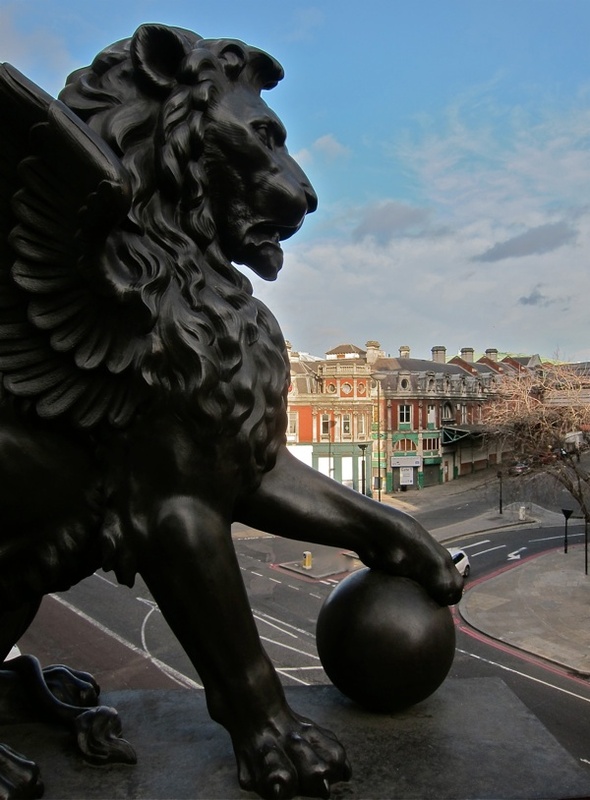 Small shops, workshops and cafés are planned, and the Museum of London is going to be moved there to a much more suitable location than its present ill-designed roundabout. Yet it was not just beasts who were driven to their deaths in old London. For hundreds of years, until the late eighteenth century, London’s main place of execution was Tyburn, a lonely crossroads along the Oxford road, approximately where Marble Arch is today. At times, the cart carrying its load of manacled prisoners out to these gallows must have crossed paths with unruly crowds of cattle coming in. The main difference was that, unlike the beasts, the men and women in the cart knew what their journey’s end would be. Long before it was decided to hold hangings in an isolated spot, the obvious place had always been Smithfield, with lots of room for crowds to watch the spectacle and learn the message that disobedience did not pay. 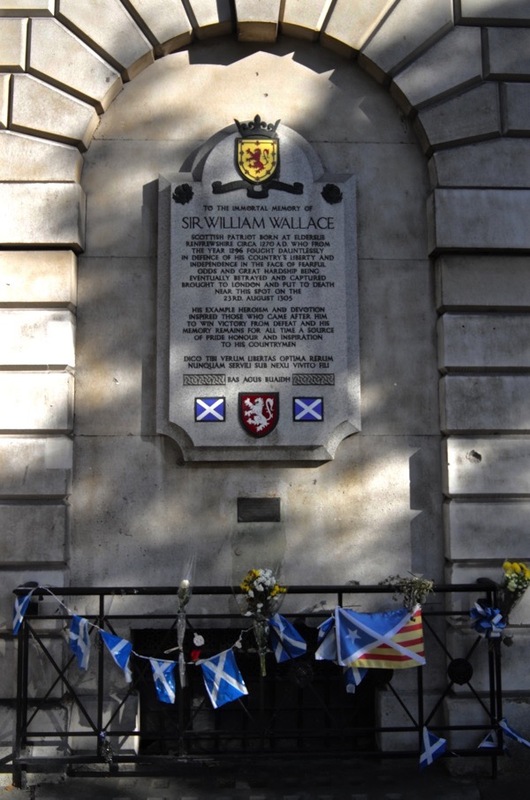 One of the first to be made an example in Smithfield was the Scotsman William Wallace, who was hung, drawn and quartered there in 1305, before he was sent north in bits to be exhibited as if he were, indeed, meat from the market. 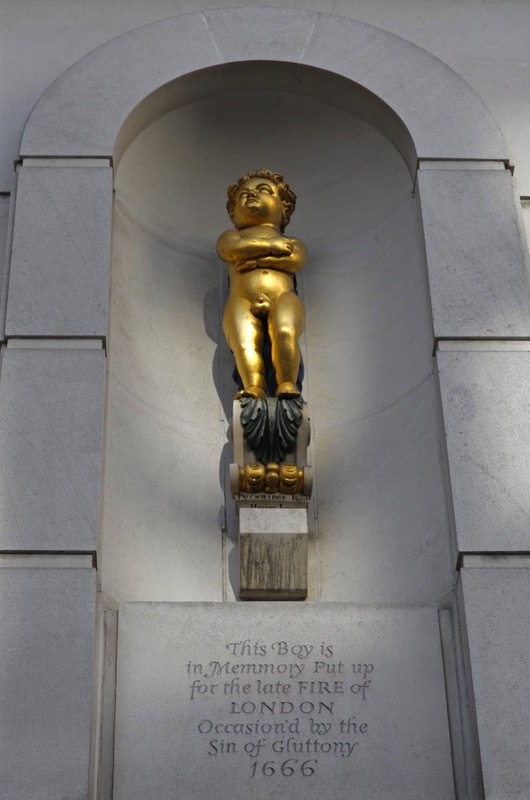 Subsequently, Wallace has been elevated, on shaky evidence, into a national hero and a plangent memorial stands today in front of St Bartholomew’s Hospital. Later in the same century, Wat Tyler, leader of the Peasants’ Revolt marched his men to Smithfield to parley with the king, but after a quarrel he was stabbed and then decapitated. 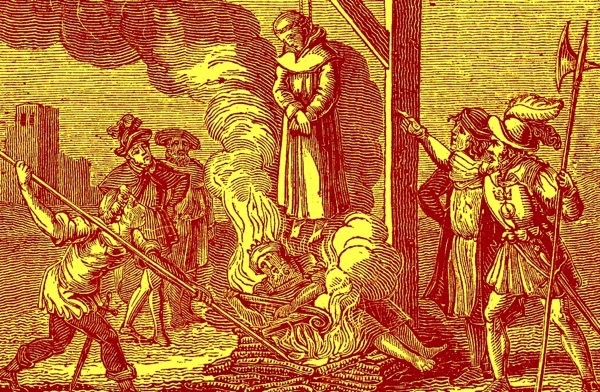 Common criminals were routinely hanged at Smithfield, a little further to the west ‘under the elms,’ but the best remembered executions are of those who were burned alive for heresy in the Reformation. These are usually called the ‘Marian burnings’, since the great number were Protestants targeted by Queen Mary, the fervently Catholic daughter of Henry VIII’s first discarded wife. But, even before Mary came to the throne and started her crusade to return England to the Old Faith, a few paid the extreme penalty under Henry VIII and his son Edward VI for being too Protestant. One of these was Joan Bocher, a devout Annabaptist from Kent, who was sent to the stake in Smithfield in 1550. 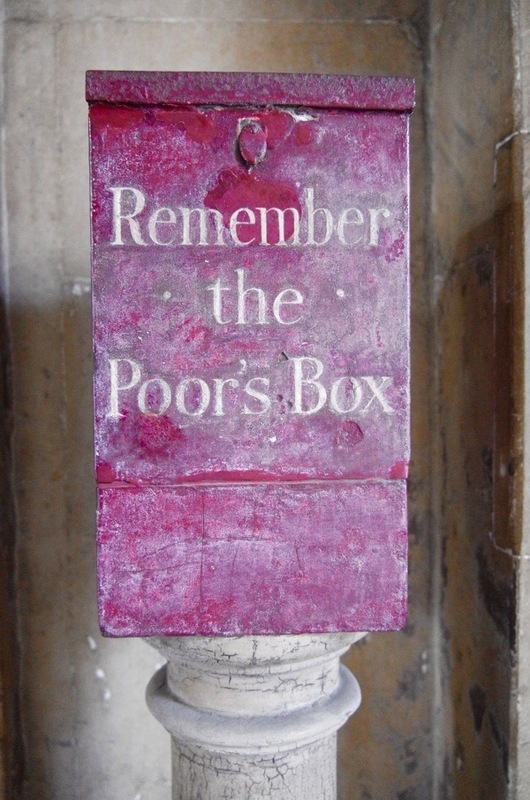 The Vicar of nearby St Sepulcre church was one John Rogers, who was himself a follower of William Tyndale, translator of the Bible into English. 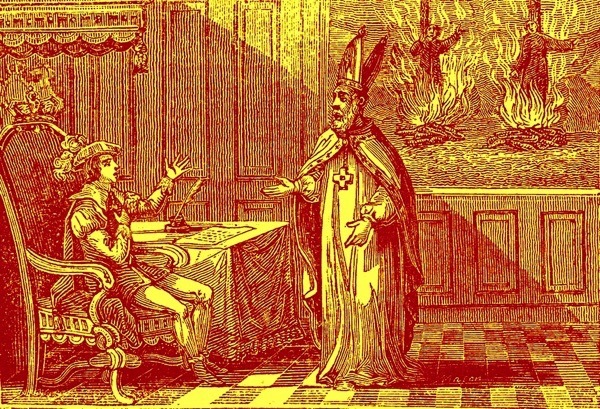 Nevertheless, he found Bocher and several others too fanatical for his taste, condoning their burning by order of Edward with the remark that it was a punishment ‘sufficiently mild, for heresy.’ One wonders if he felt the same, five years later, when he was summarily rounded up and sent to the stake for preaching what the new Queen Mary thought was heresy. It is recorded that he went ‘almost gaily’ to his fate, accompanied on his way by his wife and ten children, one a babe in arms. The literal belief, held by almost all such victims of every religious persuasion, that heaven was very near and that their moment of extreme suffering would assure them a privileged place, was clearly an effective morale-booster – as it appears to be for suicide bombers in the our own time. Burning alive as a punishment for having the wrong ideas died out early in the seventeenth century and the exact location of these deaths at Smithfield was forgotten until one day in March 1849, when a new sewer was being dug across the market not far from the church of St Bartholomew the Great. About three feet down, the workmen discovered stones blackened by fire, ashes, and fragments of charred human bones. Passersby gathered and some took away bits of bone as relics or mementoes, but quickly the site was covered and forgotten again in the reigning spirit of Victorian modernity and what was generally known as Progress. Progress had its effect upon hangings, which were now restricted to murderers and moved from Tyburn back to the City, outside Newgate Gaol. On hanging days, the bell of St Sepulcre (‘the bell of Old Bailey’ in the traditional song) would toll and the condemned man or woman would be brought out to a crowd of spectators. But, by the mid-century, a number including Charles Dickens – who made sure of seeing several executions himself – declared that the spectacle was degrading and did not act as a deterrent. 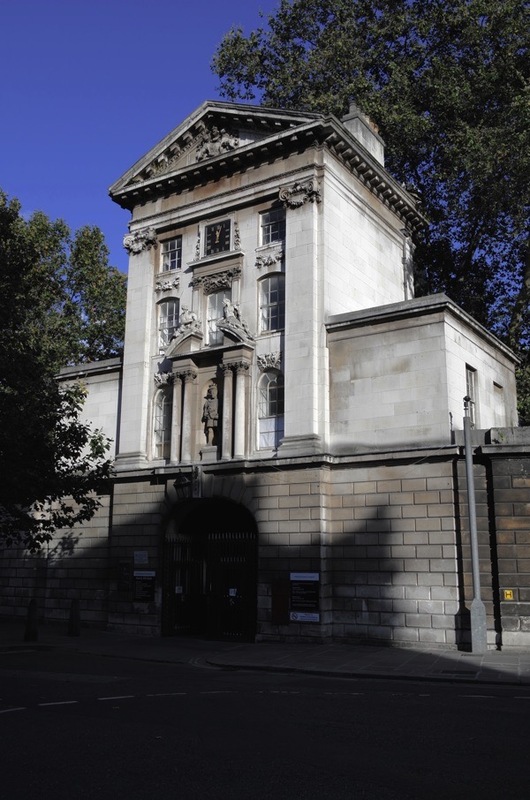 From 1868, a dozen years after the slaughter of animals had been moved off to the new premises in Islington, hangings took place only within Newgate. 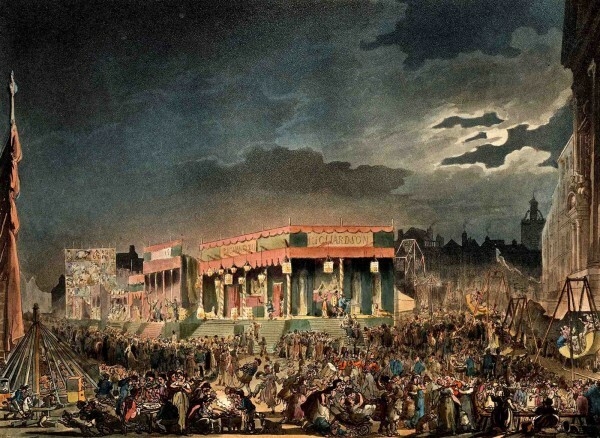 The riotous Bartholomew Fair was already a thing of the past and Smithfield’s centuries of bloody history were at an end too. More fascinating history, very nicely told. A place I love and know well and yet you still managed to suprise me. Great stuff!